Sponsored by BodyBoss. All opinions my own. With time running out before the wedding, I’ve been pulling all the stops to get— and stay— fit. Leading up to my dress fitting at the beginning of this month, I decided to try one of the most popular workout plans on the internet right now: BodyBoss. The BodyBoss Ultimate Fitness Guide is a 12-week step-by-step fitness program that’s centered around HIIT (high intensity interval) workouts. The training cycle consists of 4 cycles of 3 weeks and is highly structured to give big results in a short amount of time. Most of the workouts are about 24 active minutes for the actual workout (50 minutes or less with the warm up and cool down) 3x a week with cardio suggestions for off-days and resting on the weekends. There are several things that drew me to this program. I’ve tried other online programs that were mostly video-based, but none were as structured as BodyBoss. This program is pretty dummy-proof to follow. The Ultimate Body Fitness Guide format is easy to understand, every page representing the next day. Instead of trying to put together a bunch of different pieces, they tell you exactly what to complete each day. I also actually really liked the fact that the program was printed in a book rather than trying to keep up with videos. It made me feel more comfortable that I could learn the moves at my own pace and work my way up, instead of pushing myself too hard from the get go and getting frustrated. There are also benchmark challenges that help you track your progress by timing how long it takes you to finish specific circuits, recording your answers in the back of the book along with your body measurements. BodyBoss gives you plenty of opportunity to see your results quantified, which is very encouraging. In the past I’ve done month-long boot camp classes, which I enjoyed, but became too expensive to continue to attend. Upon my first BodyBoss workout, I noticed a lot of familiar moves and exercises from my boot camps! This made me feel more confident that these workouts were legit and effective. Before my wedding dress fitting, I was able to get through 1/3 of the program. The first couple days left me incredibly sore, but the way your week is set up lets you recover while still being active. Mondays are legs and booty, Wednesdays are arms, abs and core, and Fridays are total body workouts. This gives you an opportunity to really target every part of the body in a balanced way. After my first week, I could already feel myself getting stronger as I was getting through the workouts quicker. The guide book also comes with a bonus 4-week pre-training program for people who are new to the high-intensity workouts. There are less jumping exercises compared to the main program so you can focus on overall conditioning of your body for the full workout. While the BodyBoss program is a perfect alternative when you don’t have access to or the budget for a gym membership, there are the obvious downsides. On days where I was really tired, I could feel myself taking shortcuts in the moves to get the workout done. You don’t have a trainer telling you that you have incorrect form or to push you to keep going when you feel like giving up. This is the con for any at home program, which can be important if you feel that you need that voice in your ear. There is also some equipment needed to complete some of the exercises, though you can easily improvise. Benches for dips can be swapped for ottoman chairs, and dumbbells can be switched for other heavy objects. A mat is pretty essential though. Either way, I think BodyBoss does a great job to give you all the tools (and rest) to self-motivate. BodyBoss isn’t kidding when they say you start seeing results quickly. I’m about 4 weeks in now, and I’ve already recorded a 1/2” loss around my waist and thighs. I’m also seeing the slightest definition in my abs where there wasn’t any before. It’s small, but it’s a change in the right direction! It’s been really hard for me to eat healthy in the past few weeks due to different events and being out of town, so I’m honestly surprised I’ve seen a change at all! 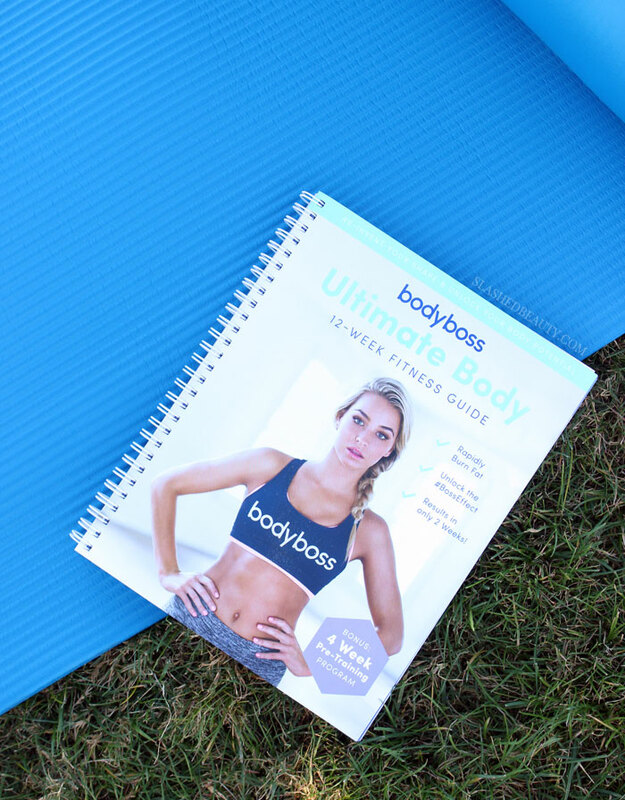 The BodyBoss Ultimate Fitness Guide is only $49.50 (comes in the online version as well for people who prefer accessing the workouts via their phones/tablets!) and I’m giving it my official stamp of approval. That value is equal to two months of my personal gym membership, but you’re getting a 12-week program that you can cycle through endlessly to build and maintain your strength. You can do it anywhere, any time, and it works. Also, and to me this is important, I love how the brand showcases women of all different body types (including mine!) on their social media pages. It’s not about fitting into one particular mold, it’s about fitting into YOUR best mold. Now that I’ve done my wedding dress fitting, I can’t lose any more weight around my middle— but I’m definitely going to continue the arm and leg moves to help tone and maintain my strength. Next month, I fully intend to pick the program back up and finish it out! Get your BodyBoss Fitness Guide here. Have you ever done a structured fitness program? You go girl! I need to get back into fitness too, but I keep finding excuses to avoid working out. YES! 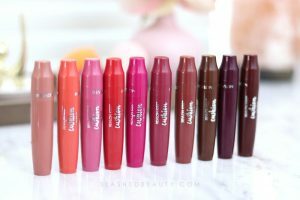 I <3 BodyBoss! 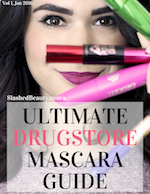 I also reviewed it on my blog and I am in love with it. I have seen results in my waistline and I couldn't be more thrilled! Sounds like an incredible program! That sounds like a great program! I’ll have to check it out! You look great and looks like a fun workout! This sounds like a great program and congrats on seeing results already as you get ready for your wedding! Wow! That sounds awesome! I need this post baby! I prefer books to videos when it comes to fitness, because they all look so fabulous in videos that I lose my nerve LOL – it’s easier when they don’t move in books! Great to know you’re seeing results! I am so not a gym person, so I love programs like this that I can easily use at home! Ooohh… This could definitely come in handy. I bought this and can’t ait to try it when my kids are less climb all over mommy. I like that it has a book, I prefer that to DVD. I need to give BodyBoss a try! I’ve been unable to get to the gym because of Nyx, so this looks like a good alternative. Sounds like a good program especially when you are motivated. First, I like your sports bra. Second, I like that you’re committing to a fitness routine. Your body will thank you later so keep it going even after the wedding. BodyBoss sounds like a terrific program, and I’m glad you’ve already seen results. I like the book idea too because it’s easier to study what they’re saying and look at the form rather than having to replay the video over and over.